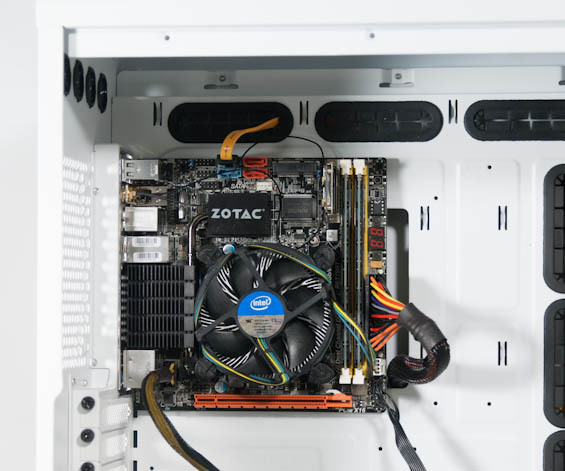 Deepcool CPU Air Cooler Roundup: Playing it Too Safe? During our visit to CES 2013, we had a chance to meet with Deepcool, a deceptively large Chinese company that has been producing heatsinks for OEMs for some time now. Deepcool is striking out with their own line of heatsinks targeting enthusiasts in the PC space, and they sent us a hefty box full of accessories and more importantly, a massive stack of heatsinks to test. Tower coolers are pretty much the way to go these days if you're going to air cool your CPU, and Deepcool has a substantial number of them on offer. They also have availability virtually everywhere in the world except the United States, an issue they're fast ameliorating. The problem these coolers are going to face is a doozy, though: the heatsink industry already has a tremendous amount of competition. Does Deepcool have what it takes, or are they going to need to bring something more aggressive to the table? Deepcool sent me seven heatsinks, but at the risk of eliminating some of the more redundant entries, I've whittled the test group down to four and hopefully narrowed down to a good cross section of coolers. Unfortunately, for the moment the only cooler comparison data I'll have on hand is going to be the set of liquid coolers I've already tested which is admittedly a little unfair. I've also (finally) included test results for the Intel stock cooler for LGA 1156; note that I've seen two stock coolers, but this is the one with the copper core. Listed below are the specifications for the seven coolers Deepcool sent. I've italicized the names of the coolers that aren't being tested, and below the spec table I'll explain why I chose the ones I did and why the others were left by the wayside. Despite there being seven heatsinks included in the package, there's a great deal of redundancy in Deepcool's lineup, and it's redundancy that I don't think serves them so much as it may actually hinder them. The limiting factor when choosing a tower cooler is oftentimes just clearance. I've run into situations where a 92mm tower cooler was necessary because 120mm was simply too tall, and there have been cases I've tested where the Cooler Master Hyper 212 Evo in our testbed wouldn't fit or would just barely fit. In my estimation, that's one of the primary differentiators of heatsinks. With that in mind, the Gammaxx 200 is obsoleted out of the gate by the 300. The 300 is only half a millimeter taller, yet is able to fit a larger fan. Meanwhile the Gammaxx 400's sheer height forces it to contend with the Ice Blade Pro v2.0 and the Assassin. As for the Neptwin, it gets sandwiched essentially by the Frostwin and the Assassin. The Assassin is, by the way, Deepcool's flagship under their Gamer Storm label. You really should get a CM 212 in along with a Noctua ND-h14 for some reviews. Anddd It's only after I posted that I see you'll be getting some Noctua coolers in. Hey Dustin, good review :) Still wondering about a 920 review? Reason I keep asking is because I own one AND an antec 1100 case, so the reviews you post give me fantastic feedback on which cooler if any to switch to.